FirstNet Authority CEO Mike Poth will resign this month to pursue a private-sector opportunity, marking another leadership change for the organization charged with overseeing the nationwide public-safety broadband network (NPSBN), according to FirstNet and the National Telecommunications and Information Administration (NTIA). 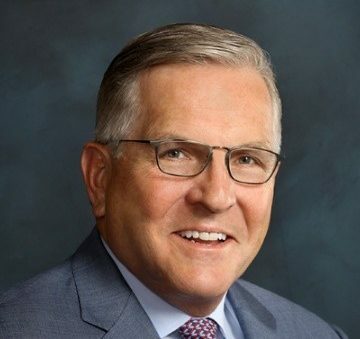 Poth, who is expected to resign by the end of the month, was named CEO of the FirstNet Authority less than three years ago and has been credited with helping drive the organization’s request for proposals (RFP) and contract processes. These efforts resulted in AT&T being named as FirstNet’s nationwide contractor to deploy and maintain the NPSBN for a 25-year period. “For the past three years, I have had the honor of serving public safety here at the First Responder Network Authority,” Poth said in a prepared statement. “Leading this organization of talented individuals dedicated to supporting our nation’s first responders has been a true privilege. Poth’s departure comes at a time of transition for the FirstNet Authority, which is evolving from a startup/early-buildout mode that was designed to establish the NPSBN to an operational phase that is expected to focus on execution, services and sustainability of the public-safety system. In addition, the FirstNet board is about to experience considerable change, with former Chairwoman Sue Swenson, Vice Chairman Jeff Johnson—both original FirstNet board appointees in 2012—leaving the board as of last month. Today, U.S. Secretary of Commerce Wilbur Ross named current FirstNet board member Ed Horowitz as FirstNet chairman. In addition, the three FirstNet board members whose terms expired last month—Neil Cox, Kevin McGinnis and Annise Parker—have agreed to extend their terms until Ross names new board members. Ross is expected to name six members to the 15-person FirstNet board when board appointments are announced. No timetable has been announced for the appointment of new FirstNet board members, according to a spokesperson for NTIA, which is the federal-government entity that houses FirstNet. During last month’s FirstNet board meeting, an NTIA official said that 18 people had applied to serve on the FirstNet board. This revamped FirstNet board will have the opportunity to hire a successor to Poth, whose efforts were applauded by Assistant Secretary of Commerce for Communications and Information David Redl. Poth was named FirstNet CEO in 2015, after TJ Kennedy had served as the acting head of the organization for more than a year. When Poth accepted the CEO appointment, Kennedy became president of FirstNet. Kennedy left the FirstNet Authority at the beginning of this year to pursue private-sector opportunities. During Poth’s tenure, FirstNet removed the “acting” title from several key staff positions and announced plans to make the partnership arrangement a 25-year deal, instead of an arrangement lasting 10-15 years, as some industry observers anticipated. Last year, governors for all 50 states, five territories and the District of Columbia made “opt-in” decisions, accepting FirstNet’s deployment plans.